Welcome to our Abbotts (S.W.) Ltd web site which we hope you will enjoy browsing through and find useful when selecting the items that you require. For ease of use we have broken it down into categories showing the most popular items we supply, mostly from our own stock. Abbotts (S.W.) Ltd, formerly Abbotts of Cornwall, is a family run company which I started with my wife Catherine in 1987, originally supplying sundries to the butchery trade offering a very personal service with regular deliveries. From these beginnings the company soon grew and is now one of the largest companies of it's kind in The South West employing 30 members of staff, and having a fleet of 15 vehicles, allowing us to offer a personal delivery service throughout Cornwall, Devon, Somerset and Dorset using our own transport. 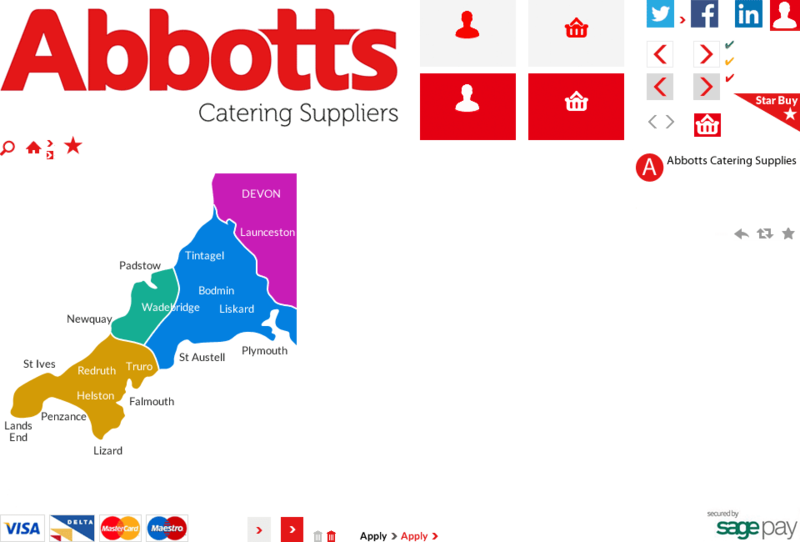 At Abbotts we supply a wide range of goods to the catering and licensed trades including cutlery, hotel crockery, kitchen sundries, cleaning materials, restaurant furniture and light catering equipment. Even now we strive to offer the same personal service to all our customers and in return enjoy an ongoing business relationship. We still have the same genuine commitment to offer our customers a first class service, now supported by two of our sons, Mark and Richard who help us run the company.